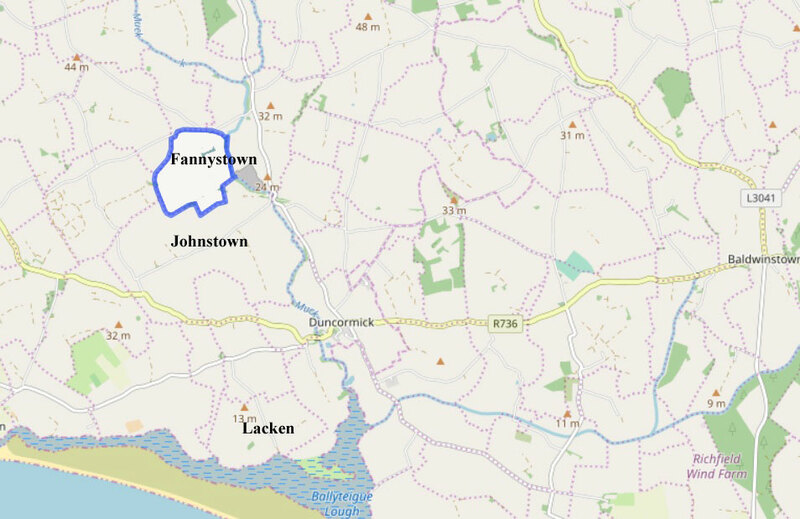 Nailing down the whereabouts of townlands that various JACKSONs took ownership of in Ireland post 1641 is the first step to being able to connect them to later JACKSON leases, as well as to future possible interconnections between the various lines of JACKSONs. 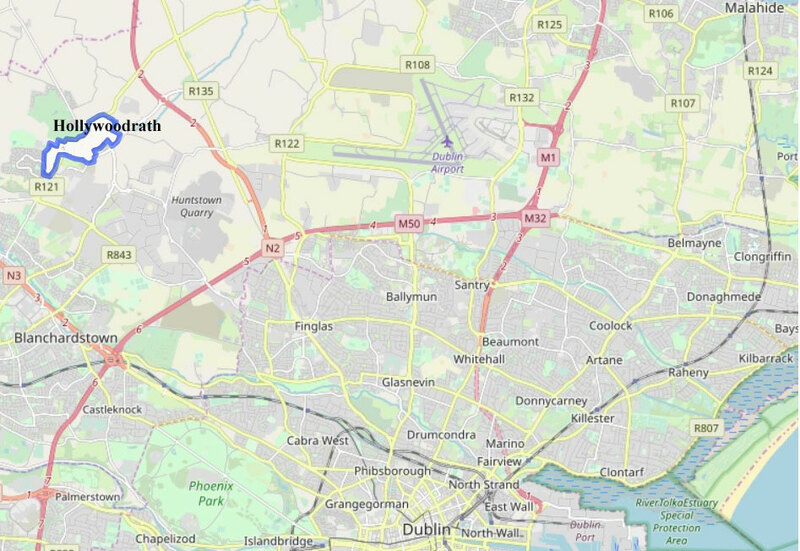 The Irish Records commission coupled with records on the Trinity University Down mapping project has been revealing. Update: January 13, 2019. 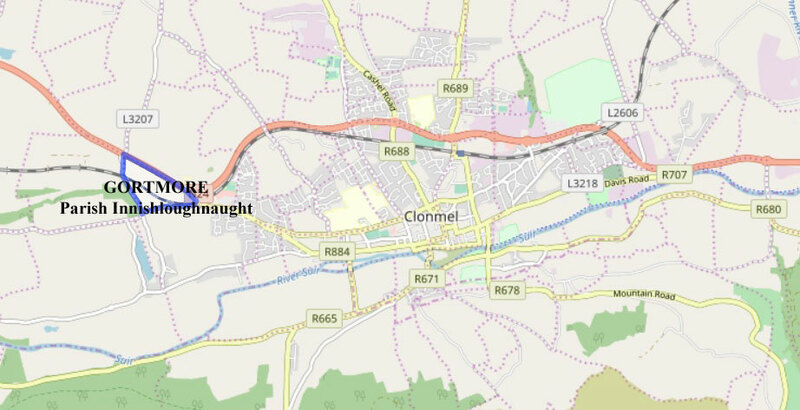 Added links to family trees of Kilkenny & Mayo. Irish Records Commission 14th & 15th See also:JACKSONs - In the Beginning. 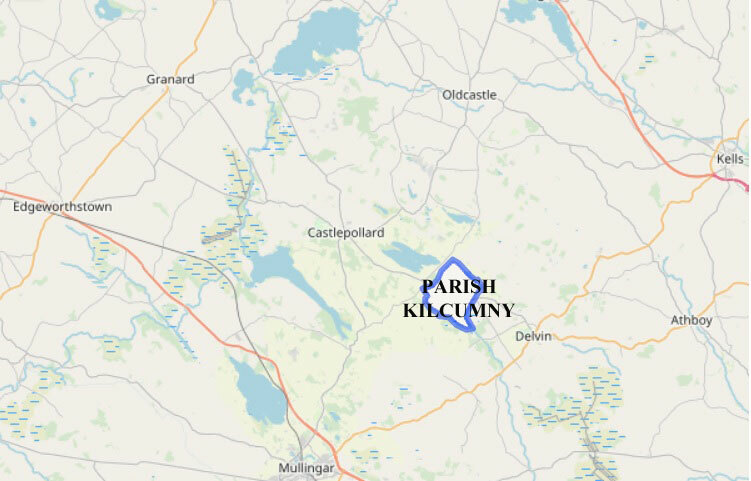 NOTE: A curious omission in the Irish Records Commission 14th & 15th is any mention of the holdings of Isaac JACKSON in Co. Meath (Oristown, (1,835 acres of it is now known as Baile Órthaí), Parish of Teltown It was one of the holdings of Samuel JACKSON (1641-1706) mentioned in his 1705 will. Fyanstown, Parish Donaghpatrick is on the western border of Oristown aka Baile Órthaí, Parish Teltown. 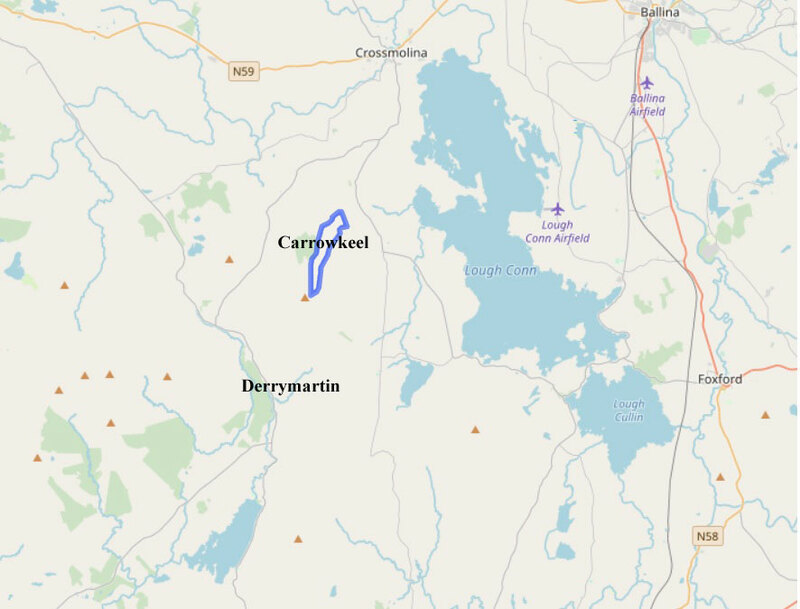 NOTE: Fyanstown, Parish Donaghpatrick, Barony of Upper Kells, Co. Meath is on the western border of Oristown aka Baile Órthaí, Parish Teltown. SERIOUS HUNCH: Worth exploring: Since Isaak JACKSON was a Quaker, this could lead to the Quaker JACKSONs having more than business relationships with Samuel JACKSON and his family. They may be related. SEE: Jacksons of Kilkenny family tree. 10. THO- DAWSON and RALPH JACKSON gents. NOTE: Drumcreeaka Dromcree is now abt 315A, but 643A were assigned in 1666. 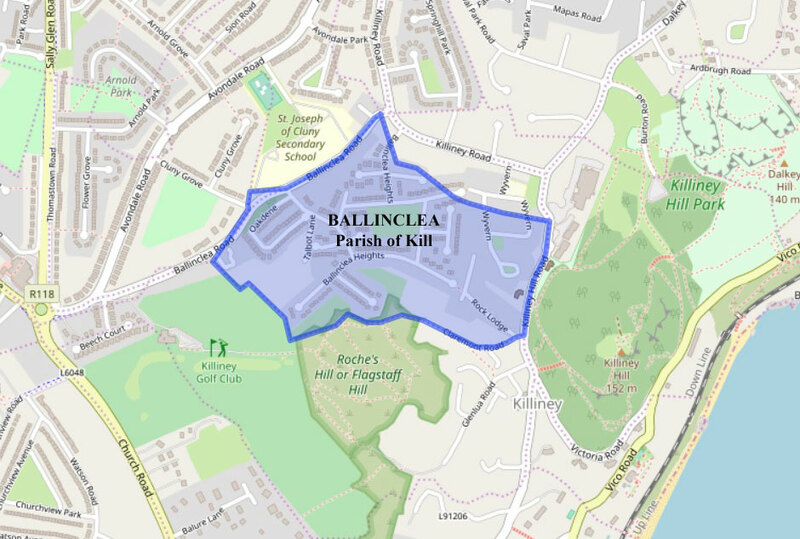 These townlands are all adjacent to each other. 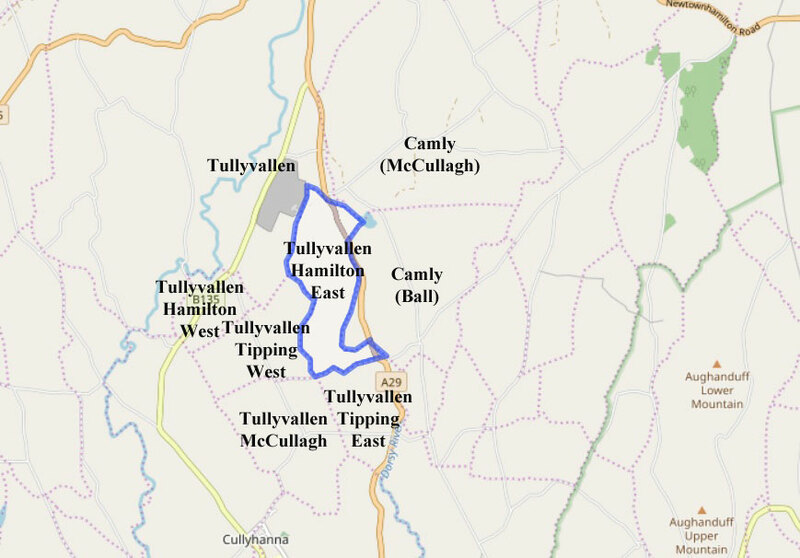 NOTE: The Trinity University Down Survey Project shows that Ralph JACKSON had 12 holdings in Co. Westmeath. NOTE: There are 4 civil parishes in Coolestown. 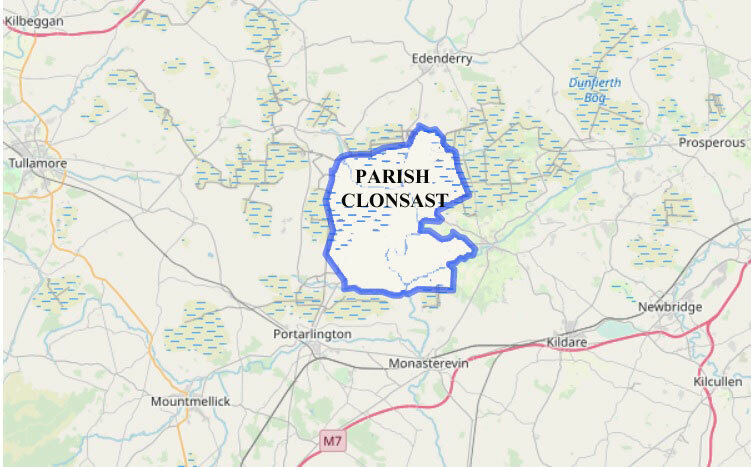 · Lisronagh, Parish of Lisronagh, in the Barony Iffa and Offa East, Co. Tipperary (It is north of the Town of Clonmel). · Lissavra Big & Lissavra Little, Parish Ardnurcher or Horseleap, Barony Moycashel, Westmeath. 21. FRANCIS JACKSON esq — NOTE: So far, these are the only named townlands on this page that I have find. NOTE: The Trinity University Down Survey Project shows dozens of holdings for Francis JACKSON. 45 THOMAS BALL, to y« use of DANL. and SARAH JACKSON — in ye north-east part of Edward Rawley’s [aka ROWLEY] retrenchment in Tullyvallan, 249a. 1r. 13p. plant. (403A. 3R. 20P. stat.) with a proportion of unprof., 3l 7s. 3½ d • bar Fewes, co Ardmagh. NOTE: I am unsure which portion of Tullyvallen this would be. NOTE: The town of Newtownhamilton is to the north, just outside the frame of the map beneath. The parish that these townlands are in is now called Newtownhamilton, but the townlands were once part of Creggan Parish. See: Tullvallen JACKSONs. 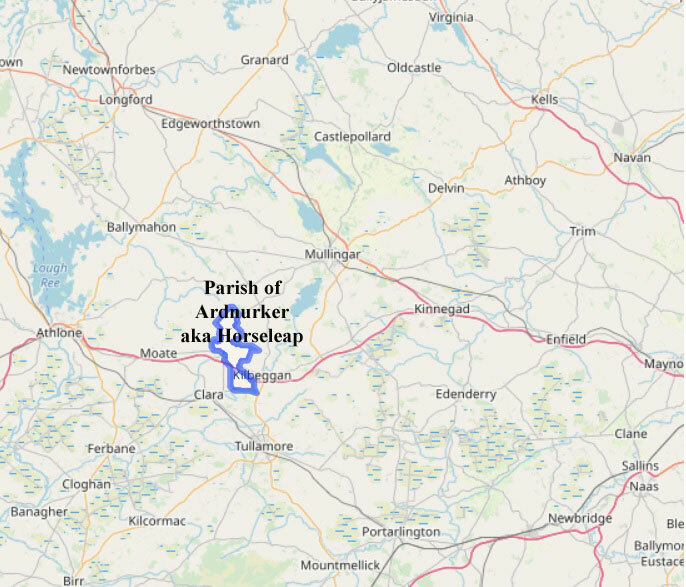 · Lissavra Big, Parish Ardnurcher or Horseleap, Barony Moycashel, Co. Westmeath..
· Lissavra Little, Parish Ardnurcher or Horseleap, Barony Moycashel, Co. Westmeath. SIR BOYLE MAYNARD Knt &c -- In trust for himself, for 1,184l. lls. Id. ; Major Andrew Woodley, 386l. 9s. 4d William Wadden, 222l. 7s. 8d. ; Giles Powell, 2,143l. 15s. O½ d.; Thomas Causabon, 1,986l.17s.7d. Walter Croker, 1,244l.4s.6d. ; Robert Browne 1,717l.17s.4d. ; Richard Beard, 121l.2s.2d. ; Richard Butler, 382l.5s - Anthony Watts, 2l.13s.Id. ; Alexander Moore, 7s.2d. ; Henry Whitecroft- 1.063l.9s.1d; Anthony Whitecroft, 136l.15s.4d. ; Jane Jackson, 476l 3s, due to John Jackson; Jane Clayton, 548l.14s.Id, due to Thomas Clayton; [ ] Moseley, 467l.6s. 4d. ; Symon Eaton, 26l.9s.61d. ; Symon Bridges, 4l.12s.4d. No townand names were mentioned. Inrolled 20th October 1703. 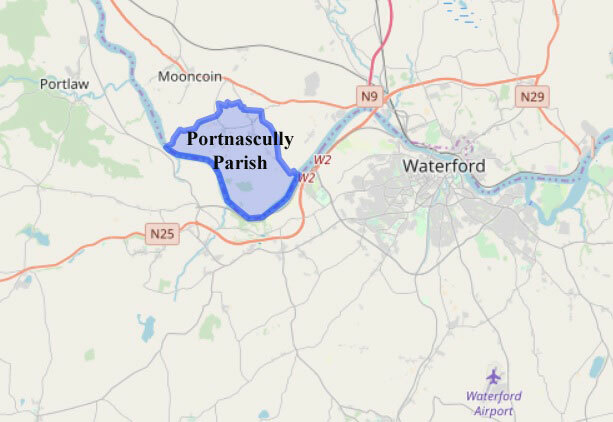 NOTE: In Index of Abstracts of Conveyances forfeited in 1688 NOTE: The only townland of that name today is in the Parish of Lusk, Barony Balrothery East. 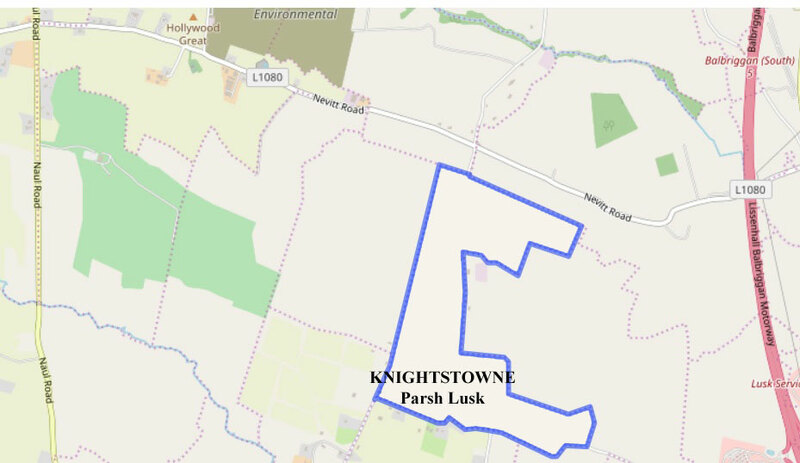 The Parish of Lusk is large, and shares a border with the Barony of Nethercross. It is about halfway between Drogheda and Dublin.